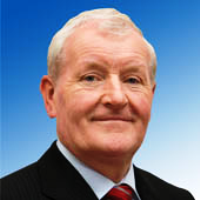 Fine Gael TD for Sligo Leitrim, Tony McLoughlin, has welcomed the announcement by the Minister for Health, Leo Varadkar that agreement has been reached between the Department of Health, the HSE and the Irish Medical Organisation on terms for the delivery of free GP care for all children aged under 6. “This is hugely important for patients and represents a significant step forward in how primary care will be delivered. This is no longer just about treating acute illnesses. This announcement will enable treatment of chronic conditions in under 6’s such as asthma and a new programme for people of all ages for management of type 2 diabetes in primary care. “This agreement represents the first step in the phased introduction of a universal GP service without fees. With the commencement of this service this summer, health care for our young children will be improved greatly. It is a clear statement of the Government’s commitment to enhancing primary care and keeping people well in the community. “This will affect up to 300,000 children and senior citizens who currently have to pay to see their GP. Free GP care will represent real savings for parents of young children and for pensioners. “The new service covers all children under six including those who have medical cards already. They will benefit from management of asthma in general practice and preventative wellness checks. Adults of all ages will benefit from the new diabetes programme, meaning they will have their condition managed by the GP who knows them, rather than in the hospital clinic. A special national GP meeting has been called for this Saturday, 11th April, to take place at the IMO AGM in Kilkenny. It will allow the organisation to brief IMO GP members on the agreement, the IMO has stated. Regional meetings will also take place across the country over the coming weeks. 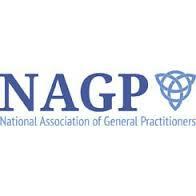 Chris Goodey, Chief Executive of the National Association of General Practitioners, a separate body with 1,300 members, said his organisation was convening an emergency meeting on Sunday to review the proposed free care for under 6s and would be issuing a statement afterwards.